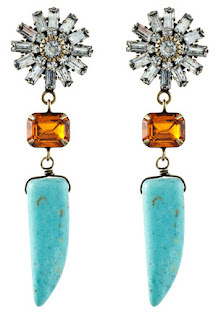 These crystal and turquoise tusk earrings manage to be stunningly elegant and edgy at the same time. They're all you need to stand out. Those earrings are fabulous!! Thanks for sharing with us. They might be a great gift for my friend's 40th.